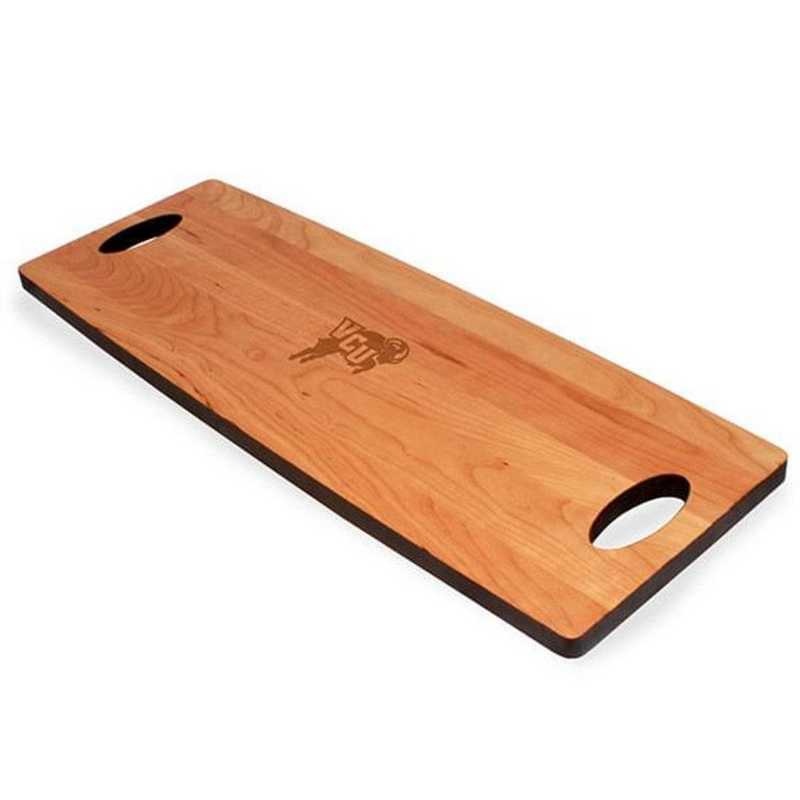 VCU Cherry Entertaining Board by M.LaHart & Co.
Gear up your school spirit with the gift of awesome NCAA and college products. The Virginia Commonwealth University Cherry Entertaining Board features the VCU logo beautifully engraved in the center. The sleek, elongated shape with black burnished edges makes a wonderful focal point on the table, and the oval handles permit easy transport from the kitchen., Measures 27 x 10 x 1., Made in Vermont from solid American Cherry., Highly detailed, laser engraved insignia in center., Only at M.LaHart & Co., Clear Teak oil finish showcases unique wood tones.Officially licensed by Virginia Commonwealth University. Manufactured direct from a trusted supplier. You're reviewing:VCU Cherry Entertaining Board by M.LaHart & Co.